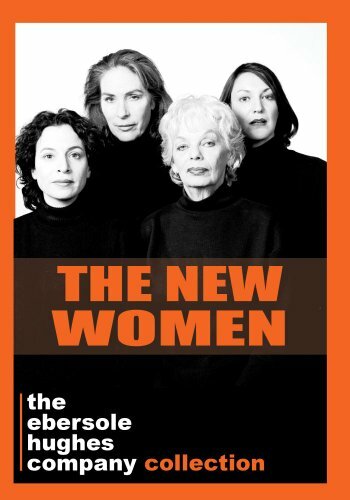 The New Women is a post-apocalyptic adventure about Lisa LaStrada (Mary Woronov) and her small town group of women friends who clearly haven't come a long way, baby. Lisa spends her nights pining over the infidelities of her philandering sheriff husband who is having an affair with her nemesis, Virginia Van Upp (Roma Maffia). A recovering alcoholic, Lisa falls off the wagon and tries in vain to drown her sorrows in booze, drugs and RV fantasies until one day, at a local barbeque, along comes a huge rainstorm that quite literally puts everyone in the entire world to sleep. In a couple of days, slowly but surely, all of the women wake up to a world that has come to a complete standstill. Well, not a complete standstill, their men remain fast asleep in comas, getting erections every forty-five minutes. There was definitely something in that rain! Now Lisa and her friends struggle to rebuild their world (and face their issues of low self-esteem) until they realize by degrees, as their men start dying and food starts to run out, that there's no hope for survival in isolated Lacuna. So they hit the road following a shaky radio signal to find a new model of society made by women for women called Elysium. But the brave new world has way more out there than they bargained for. Will the new-age hippy chicks and angry, jilted lady bikers they cross on the winding path to Elysium stand in our heroines' way of true happiness? Or is Elysium, too, just another impossible dream? If you have any questions about this product by The Ebersole Hughes Company, contact us by completing and submitting the form below. If you are looking for a specif part number, please include it with your message.